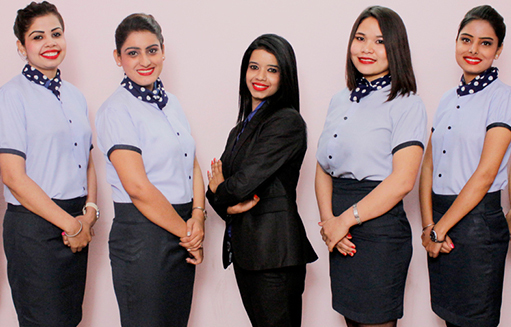 We at Universal Airhostess have devoted a great deal of effort to develop and deliver our training programs of international quality, relevant to the needs of the aviation industry. Our specialized curriculum and experienced faculty allow us to focus on the evolving needs of the candidates who must operate and compete in an increasingly complex International Aviation Environment. The distinctive approach to training is that students must meet their quest for tangible success. Our mode of facilitations will create interest and encourage the student to stay participative through the modes of experiential learning along with Personality Development. Our vision is to become a leader in comprehensive aviation training in the Asia and Middle East regions. 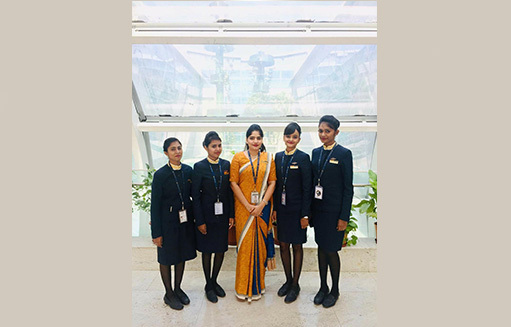 We aim to become the bridge between the ever-increasing demands for trained manpower for all airlines globally, which has seen maximum growth potential in recent times. We want to be the best and to prove the best and assure that we show everyone the true board to success. The fore most aspect, which the academy promise, is the commitment of our institution and our policy to the student during the period in which he associated with us ans also after completion. The credibility of the academy creates weightage to the individual as we are associate with great Multinational tie ups such as the KLAS. This credibility factor not only endures good stability but also strength to our academy. We are striding on the edutainment force of teaching so we have the best resources to innovate new ideas in the learning sector of aviation. We would be the best and we always strive to be the best. 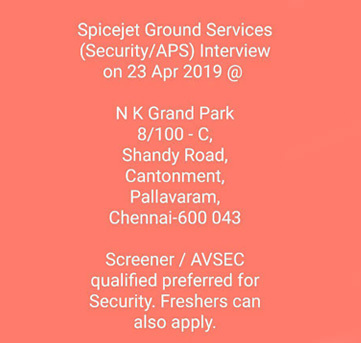 Universal Airhostess Academy Pvt. Ltd. has been started to provide quality training to young aspirant aviators, who wish to become professionals in the aviation industry. We want to create new standards of edutainment teaching in aviation academy, which inspires many students, and helps them to achieve their dreams in the aviation industry with ease. We strongly have the thought process of forming a very good platform for the students to have their skills to be developed in both aspects of the industry, which leads to a perfect blend in the professional and personal status.